Marlan’s Synoptic systems offer a unique, award-winning solution for cost-effectively monitoring dynamic intertidal zones using shore-based radar remote sensing. Marlan provides an end-to-end data subscription service that delivers a series of topographical DEMs directly to your desktop. We install and operate innovative shore-based radar survey platforms then apply our cutting-edge data processing algorithms to autonomously produce a stream of 4D survey data that allows you to monitor the coastline in near-real-time without getting your feet wet. Marine radar is able to continuously observe the sea surface as the tide rises and falls. 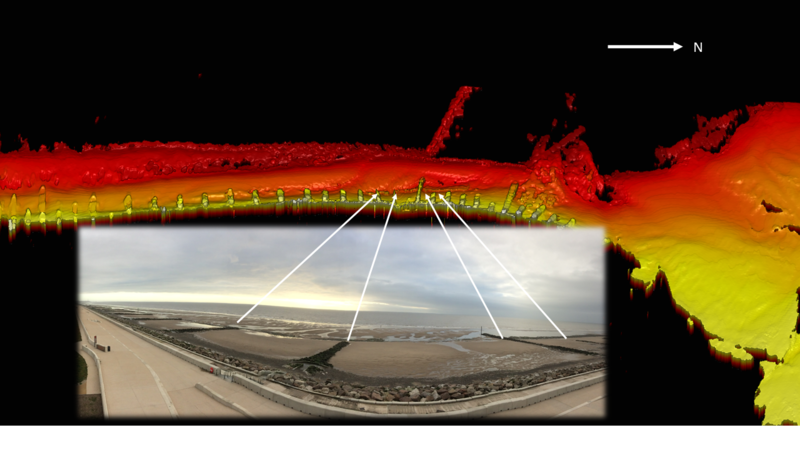 By analysing the behaviour of the sea surface across a sequence of radar images, Marlan’s Synoptic survey systems are able to build up a comprehensive topographical map of the intertidal zone using patented technologies. Conducting regular hydrographic surveys in complex and dynamic shallow water coastal areas is an incredibly difficult logistical challenge, Synoptic offers the solution. Deployment of a Synoptic system will rapidly accelerate your understanding of coastal processes in this typically challenging operational environment. Data collection and processing is autonomous and continues 24-7 so that you never miss a storm, allowing clear observation of erosion, accretion and sediment migration – a service no other system can provide. Near-real-time data allows rapid responses to unexpected changes in weather, morphology or damage caused by storms. These data greatly assist with flood and coastal erosion risk management. This radar-based technology has been developed over several years in partnership with world-leading scientists at the National Oceanography Centre and the University of Liverpool. We continue to work with our academic partners to provide cutting edge data products and continually update our algorithms through on-going R&D, in order to provide the best possible nearshore observation solution.